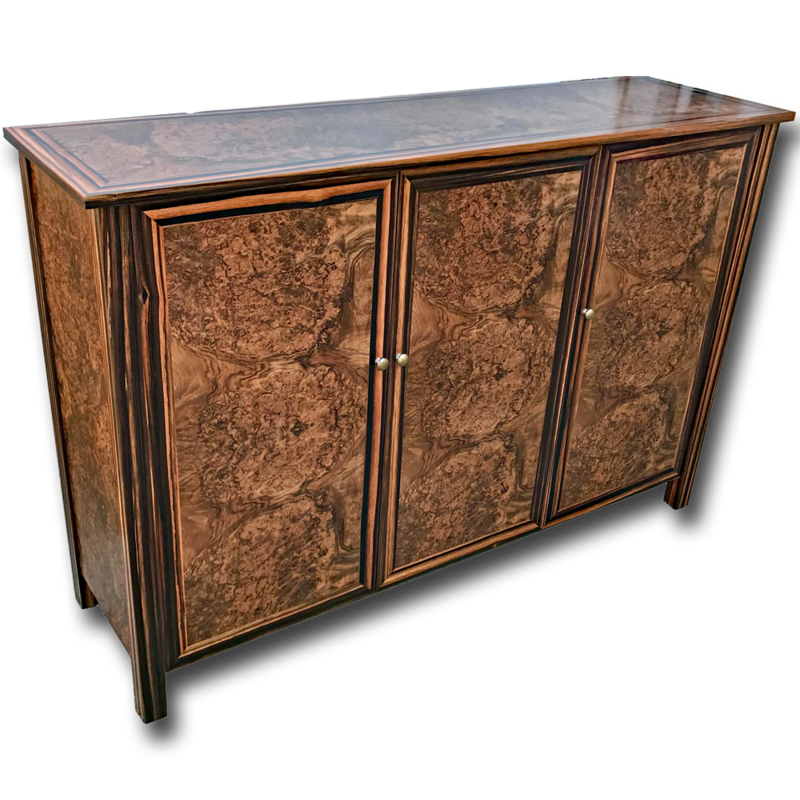 Stunning art deco inspired sideboard shown here in burr walnut with ebony banding and legs. 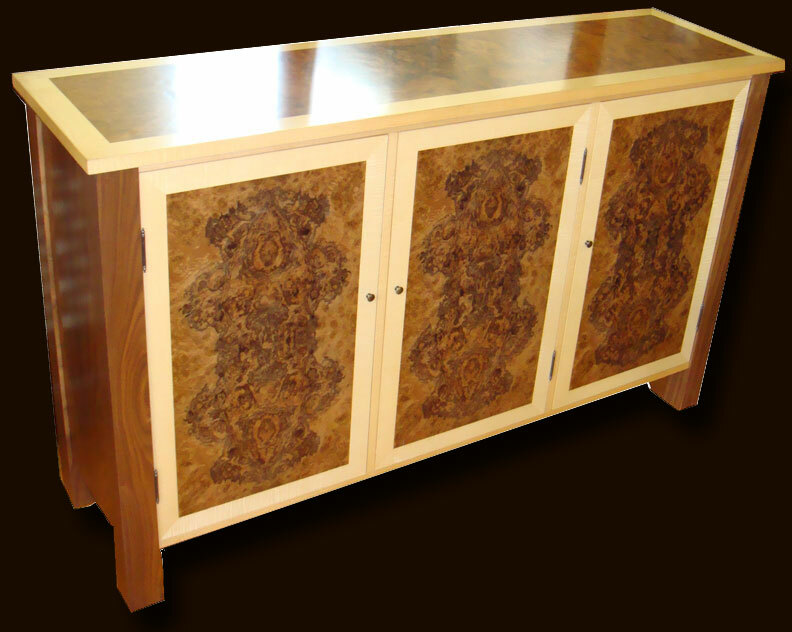 Adjustable shelving throughout. 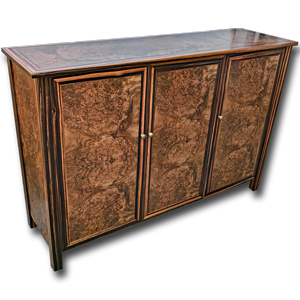 We can make these sideboards in any size or specification and using any combination of the eight wood choices listed below.